To celebrate our announcement of Devil May Cry™: The Bloody Palace in suitable style, we will be giving away a full Sparda-level pledge, worth over £150, to one lucky winner for free! And entering couldn’t be easier! To enter the draw, all you just need to subscribe to the Steamforged Games newsletter, which you can do here!! Once you’ve signed up, we’ll keep you up to date with EVERYTHING going on with Devil May Cry™: The Bloody Palace! 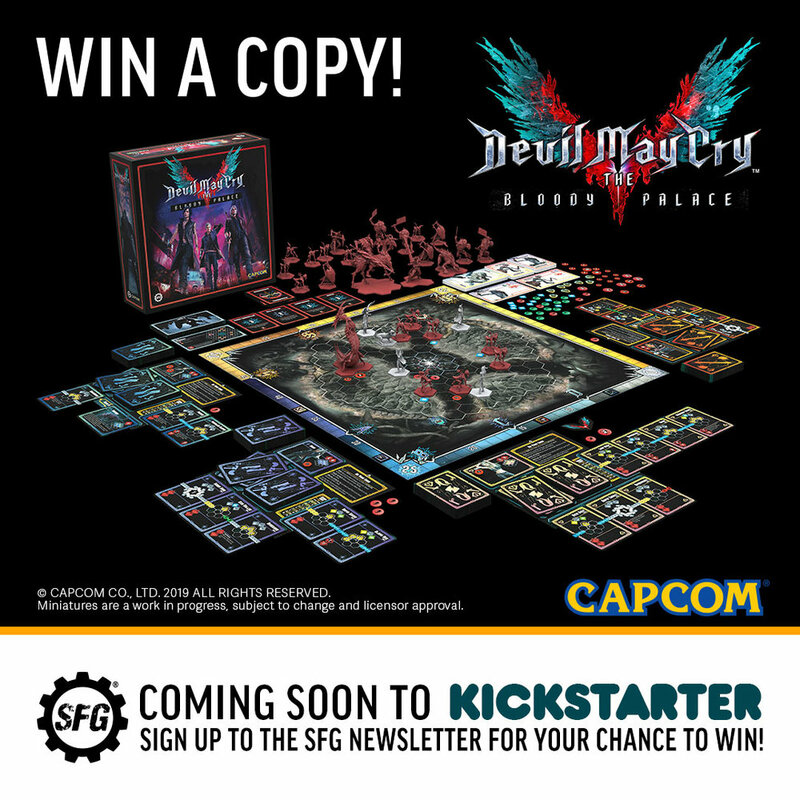 You’ll never miss a single Devil May Cry™: The Blood Palace article as we prepare to launch the Kickstarter Campaign, and we’ll keep you up to date with exciting news about our other games too! You’ve got until the day before the Kickstarter launches to subscribe to the Steamforged Games newsletter. The winner will be announced once the Kickstarter Campaign has been fully funded. Capcom, the Capcom logo and Devil May Cry, are either registered trademarks or trademarks of Capcom Co., Ltd., in the U.S. or other countries.